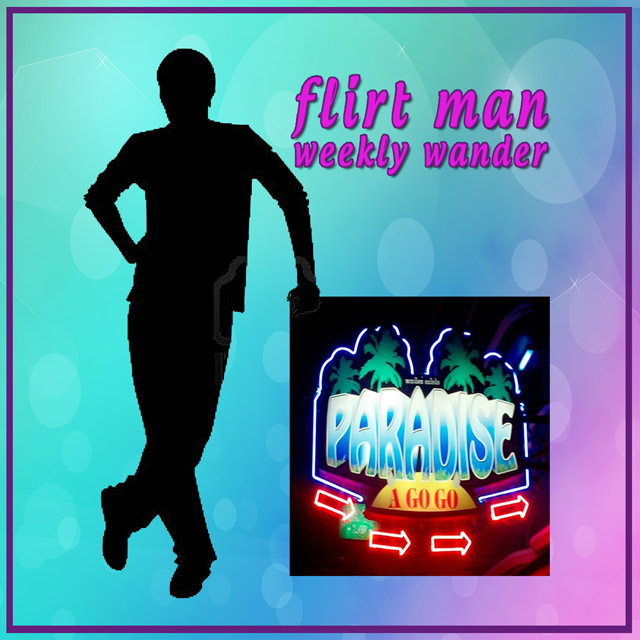 The Flirt Man’s weekly wander continues this week by having a closer, more in depth look into one of the gogos down the LK metro soi. For this particular wander i staggered into Paradise agogo to see what lay behind the black curtain doorway. The first impressions were of a dark 1 unit sized typical gogo-layout with a centre dance area and seat on both sides. Some would say it lacked the glamour of some of the newer gogos but for Flirt man it was perfect. It hinted of a seedy but nice atmosphere where the quality of service, cheap drinks and fun ladies was gonna be more important than sleek fittings. Flirt Man is on a strictly “observing” role so opted to take a podium seat with flesh merely inches away rather than the more “involved” hiding bench seats and the service ladies had no issue with that and smiled as they took my 65baht draft beer order. The clientele seemed to be a mixture of Europeans with a few Japanese splashing the cash as well as some pretty-boy Thais who looked like they got lost on the way to karaoke. I guess what makes or breaks a GoGo is the quality of ladies on parade and for the Flirt Man it’s not all about superstars on show stropping with attitude, so another pleasant surprise was when a fair varied selection appeared on stage to involve themselves in mini-dance routines such as “the football strip show” and “cowboy girls ho-down”. Great ideas and entertaining. The music was not too loud and fairly modern without being “car alarm” and Tv’s showed a fairly static coyote video from some local motor show. This evening Flirt Man wasn’t pushily approached or nagged to buy a lady drink by anyone but was given some nice smiling attention from the dancers. Definitely an “up to you” policy where it’s the customers choice and not the railroad system most employ. After a few beers the Flirt Man knew he’d be back another night as this joint was starting to grow on him. Happy hour runs 19:30 – 21:00 and is 75 baht for bottled beers and house spirits. Flirt man’s only criticism would be a more inventive use of the TV screens and a slight extension of the happy hour possibly to 21.30 or 22.00 which would be in line with other LK establishments. Regardless of these points Paradise definitely gets an overall 7 out of 10. Join me again next week when i pop into one of the numerous gentleman’s clubs that have suddenly sprung up and remember the Flirt Man is saying it like it is (without payment) and visits totally anonymously.